Growers have been challenged in hot seasons with increased sunburn, low colour, compromised fruit textures and higher incidence of storage disorders. It was recognised that other apple and pear growing regions would begin to experience these issues as the global climate continued to change, and that varieties developed for these niche environments would be in increasing demand worldwide. Several new varieties have been identified in the HCP with potential for commercialisation, and the programme partners – including grower group Fruit Futur, who began investing in the programme in 2003 – have selected T&G Global as their preferred partner for managing the commercialisation of the varieties worldwide. 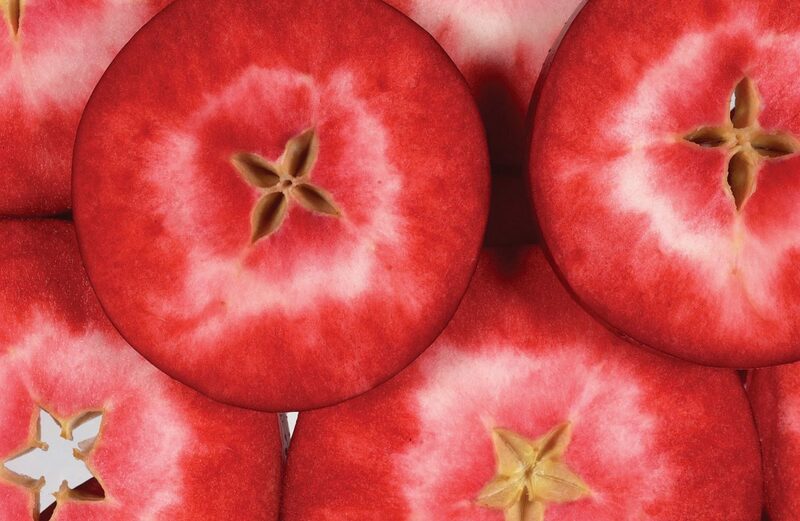 T&G Global has had success in bringing world-leading varieties to international markets including award-winning JAZZ™ and Envy™ apples across Europe, US and Asia. “As climate changes, growers worldwide face a huge challenge from sunburn and colour-development issues with their fruit, to increased pests and diseases which can influence fruit in the orchard and post-harvest,” says Sarah McCormack, Director of Category- Apples, from T&G Global. “These hot climate-tolerant new varieties from the programme will ensure that consumers can continue to enjoy crisp, tasty apples and pears in the future, by providing growers with varieties primed for production in this changing environment. “We have a long history with Plant & Food Research and a proven track record in bringing premium apple brands to the world,” she says, “Our exclusive varieties JAZZ™ and Envy™ apples are sold in 60 countries and have notched up multiple awards in several continents for quality and taste.